To put digital marketing in defining terms, it would simply state as the marketing module of brands, goods and services using the digital platform of giant search engines like Google, Bing, Yahoo and such as. It is an ever-evolving concept and it requires a proper plan along with a robust marketing strategy to make a successful digital marketing campaign. Digital marketing includes mainly Search Engine Optimization (SEO), Search Engine Marketing (SEM), Content Marketing, Influencer Marketing, Social Media Optimization, Campaign Marketing and much more. What lies at the Apex of Digital Marketing? 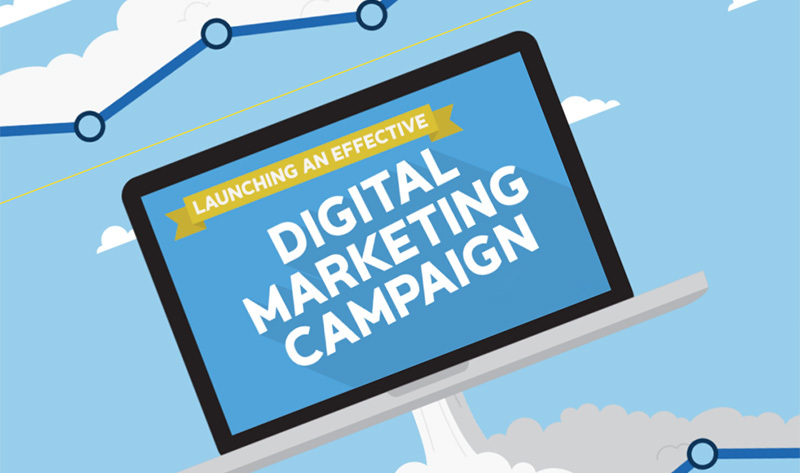 Digital marketing campaign includes certain vital aspects that count as decisive determinants on how to design and execute the planned marketing campaign. Functionalities like realistic assessment of the business performance, competitive analysis, increase brand awareness, boosting sales, generate quality leads, setting targeted audience and much more. The campaign also includes setting digital goals and running campaigns on different digital platforms which include Google campaign marketing and Social Media Marketing. They serve as platforms where an organization can set a particular digital marketing ad campaigns and run paid promotional ads. Key Performance Indicator (KPI) is an important tool to compute the overall working and performance of the Digital marketing campaign. Effectively creating digital marketing campaign plan of an organization is an important aspect before executing the same. A great digital marketing campaign can assist the company to build a strong online reputation, increase the brand awareness, website traffic, and quality sales leads. SEO has evolved tremendously. Creating highly engaging content is extremely necessary with proper optimization of the website pages and sufficiently using the keywords helps an organization to gain prominence and high ranks on different search engine platforms such as Google, Yahoo, Baidu and many more. Using various social media platforms such as Facebook, Instagram, Twitter and many more is not only an effective concrete way to increase the business but also it helps in boosting brand awareness. Fortunately social media digital marketing campaigns are inexpensive. Basically, digital marketing includes ads in the form of text, display and video. The PPC or Cost Per Click (CPC) is one of the best ways to increase website traffic which ultimately helps in converting the lead into sales. One of the inexpensive ways is Email Marketing which includes Promotional Emails. These can be in the form of basic emails or e-newsletters or via subscription. A marketing firm can work with an organization as an affiliate partner. They share a considerable percentage on sales or profits earned. They are also called business partners. Content marketing includes effective content in the form of text, display images or videos. These also include testimonials, case studies, blogs and much more. If the content is strong, it helps in increasing website traffic and increases sales leads. Thus understanding the gravity of using this virtual marketing module, it has become all pervasive for multitude organizations. With the evolution going in the digital hyper-age, it leaves no room for doubt that to become an ace organization in the market today, digital marketing is the only way you can literally reach to the sky limits!